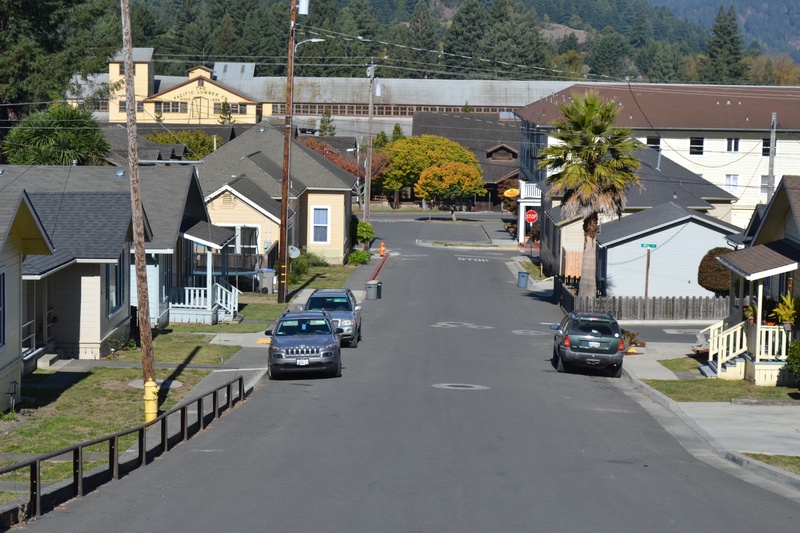 The town of Scotia grew up around the logging operations of The Pacfic Lumber Company. The earliest homes in were built in 1905 and over the next 25 years the majority of the 270 homes in Scotia were constructed for company workers to occupy. The earliest homes built in Scotia were National Folk architectural style and then came Folk/Craftsman style homes. 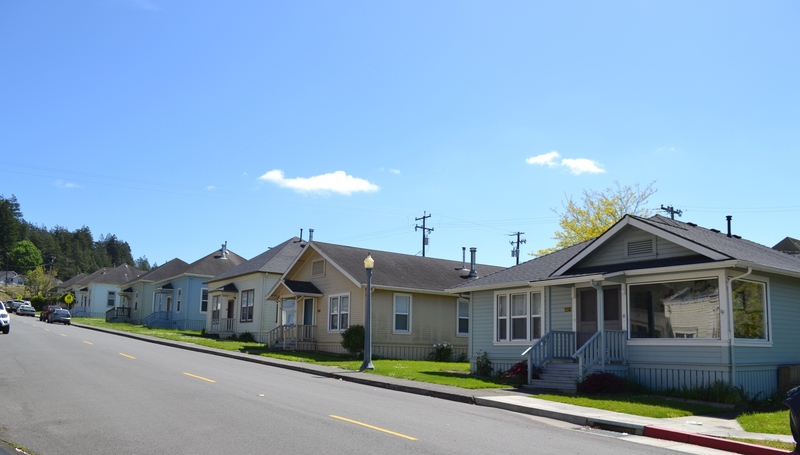 All of these beautifully crafted redwood homes are timeless and built to last for many generations to come, as today Scotia transitions from the former company-owned town to a community of private homeowners. The homes in Scotia will be sold to private owners in phases, over the next four to five years. Prior to the start of each phase of home sales, significant infrastructure improvements are being completed. The streets are newly paved, and sidewalks, curbs, and gutters are also installed. Pacific Gas &Electric has installed individual utility meters on each hosue, and the Scotia Community Services District is responsible for providing water and wastewater services.